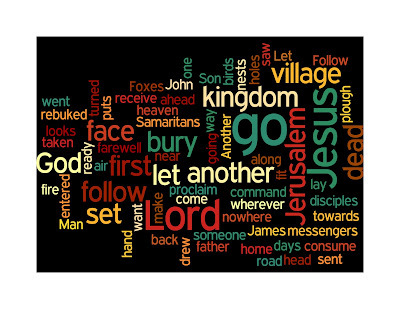 Here is the Wordle of Sunday's Gospel reading from Luke 9.51-62, the text of it follows below. Jesus is active in proclaiming and showing the love of the Lord, of God, in Word and deed and none of Jesus ministry is fruitless. Even the most hopeless of Gospel situations, spoken into by Jesus, ring aloud with the hope of resurrection. And yet this section of the Gospel seems to be a passage about barriers to that active proclamation of the Gospel. He is rebuffed by a Samaritan village and when he is the disciples instead of responding in love, or just ignore it, respond by asking whether God should punish their hardness of heart. Yet those closest to him have misunderstood the hospitality of the Gospel which offers even the Samaritans - the most despised of near religious cousins to good Jews - the fullness of the goodness and grace of God. The barriers are also placed by Jesus himself. Even reasonable requests for social etiquette - saying farewell, burying the dead - are unreasonable when confronted by the Gospel. 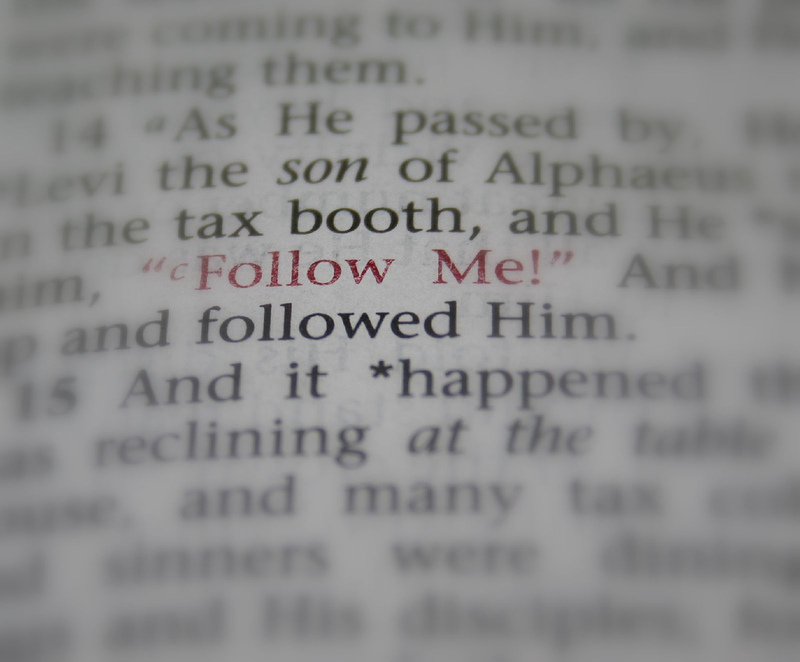 A Gospel which consistently asks the disciple - are your priorities consistently God-ward? Where is your treasure? Jesus seems to say that family ties, friendships, work are all important, they are lifegiving and enriching now, but in the economy of eternity they count for nothing in the face of an offer of eternal life.